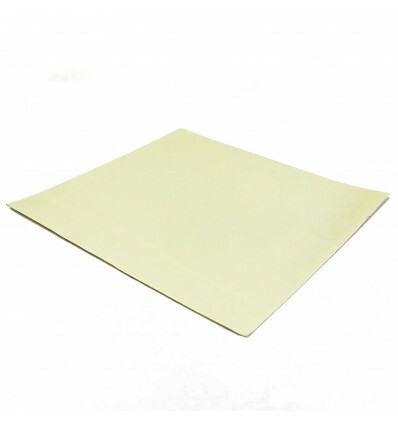 These sheets of 300x300mm 3M 468MP Adhesive Backing Tape help to keep PEI sheets, BuildTak or anything else securely stuck to printbed surfaces. These strips of 300x300mm Adhesive Backing Tape 3M 468MP are an excellent investment for any 3D printing enthusiast who may be struggling with PEI, BuildTak or other Adhesion Aids sticking to print beds. 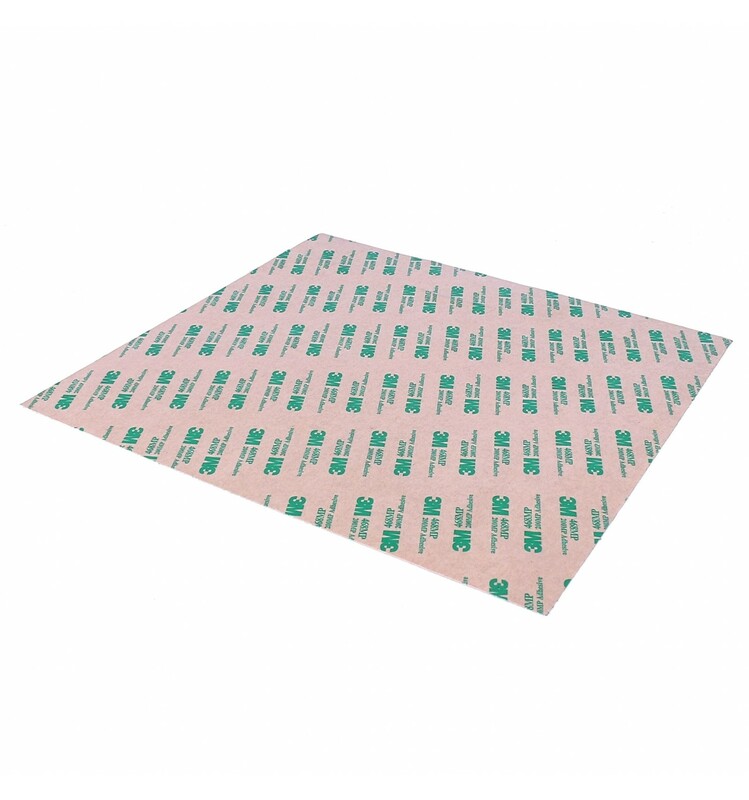 They are essentially sheets of double-sided tape that ensure your adhesion aids don’t slip or get pulled off the bed. This helps you get the full benefits of your BuildTak, PEI Sheets or other adhesion aids, improving first-layer adhesion and ultimately enhancing overall print quality. These sheets are an excellent choice for increasing the quality of first-layer adhesion, which is fundamental towards overall printing quality. As many 3D makers will know, the first layer is often the most important layer to get right, since the other layers rely on this first layer in order to build the FDM print properly. As such, these sheets dramatically improve not only the quality of the first layer, but actually assist throughout the entire 3D Printing process. These sheets are 3M branded with a rating of 468MP, meaning they offer quality that you can trust. They have also been pre-cut to a convenient size of 300x300mm, which can be trimmed down to fit most of the printers we stock. The sheets have an adhesive thickness of 0.13mm and a liner thickness of 0.11mm. These sheets of 3M 468MP Adhesive Backing Tape are cut to 300x300mm squares, and are stocked to fit the Wanhao Duplicator 9, as well as the Creality CR-10S. However, they can also be used on any 3D Printers with similar build volumes, and can even be trimmed down further to fit whatever size you need it to be. And while we do stock these primarily for 3D printing, they could certainly be used for a wide range of other applications as well, since double-sided tape can be useful in a wide range of different use cases.